In the statement, Antioch makes several key points on the subjects of history, autocephaly, and the manner in which decisions should be made in the Church. In the end, they call upon the Ecumenical Patriarch to convene a Synaxis of the primates of the autocephalous Churches. History. In the current dispute over Ukraine, both the Ecumenical Patriarchate and the Patriarchate of Moscow have made territorial claims over Ukraine, based on their own readings of history and historical evidence. Suddenly, esoteric topics such as the politics of the hetmanate in the 17th century and the ecclesiastical particularities of the Polish-Lithuanian Commonwealth are being used to litigate the fate of Orthodoxy in Ukraine in the 21st century. This legalistic approach is not native to Orthodoxy, but is being employed on both sides, by both Constantinople and Moscow. Both Churches appeal to their own troves of carefully-curated historical documents, and of course, both have their own self-serving interpretations of those documents. Like litigants in a civil court case, neither side will acknowledge any point that seems to be in favor of the other, as both vigorously defend their respective claims. In its statement, Antioch rejects these unilateral readings of history as harmful to Orthodox unity. Autocephaly. Regarding autocephaly, Antioch states that the granting of autocephaly requires “the agreement of the Mother Church and the acknowledgement of all the Orthodox Autocephalous Churches.” In this, Antioch is simply adhering to the decision of the 1993 Pre-Conciliar Commission (which was chaired by the Ecumenical Patriarchate), as well as the EP’s official position paper and the letter of Ecumenical Patriarch Athenagoras in 1970. Numerous other official documents could be similarly cited, including the official position paper of the Church of Greece, prepared for the 1993 Pre-Conciliar Conference. Decision-Making in the Church. 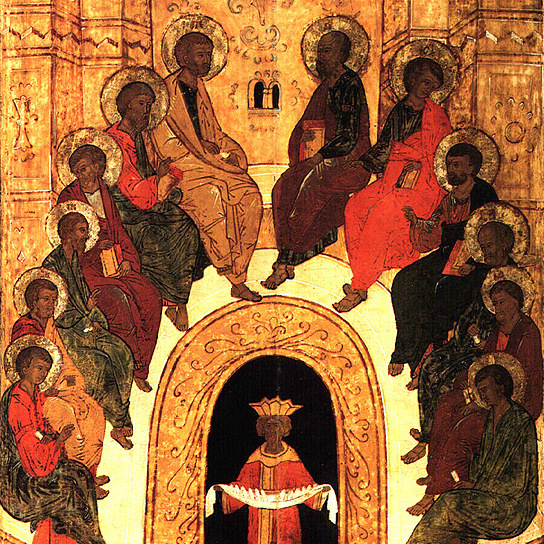 Antioch affirms “the principle of unanimity” as “a true safeguard for Orthodox Unity.” Again, Antioch shows itself to be the true heir to the ecclesiological legacy of Athenagoras, preserving the teachings of Athenagoras even as his own Patriarchate has deviated from them. In his 1970 epistle, Athenagoras asserted the necessity of consensus among the Churches regarding “an ecclesiastical act” (in that case, autocephaly) which “bring(s) about a new order in the Orthodox Church as a whole.” Consequently, Patriarch Athenagoras concluded that “the granting of autocephaly is a right belonging to the Church as a whole, and cannot at all be considered a right of ‘each Autocephalous Church. '” Here, the great Patriarch makes no exception for even his own illustrious Ecumenical Throne, despite its unquestioned preeminence and prereogatives as “First Among Equals” — a term Patriarch Athenagoras himself employed. Antioch’s position in its 6 October statement is essentially consistent with the position of the Ecumenical Patriarchate until very recently, expressed in numerous official documents. Far from being an opponent of the Ecumenical Patriarchate, Antioch in fact follows the teachings of the Ecumenical Patriarchate and recognizes the primacy of the Ecumenical Throne, calling on it to convene a pan-Orthodox synaxis.